Tumblr feels less like a social network and more like an after work hangout where everyone is a little more relaxed. While you hear of Twitter fights all the time I’ve yet to witness a Tumblr rumble. 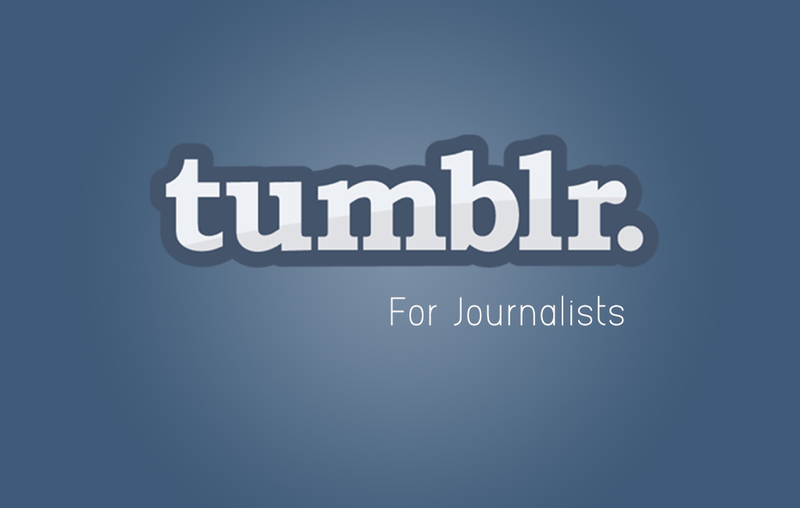 Aside from the millions of blogs ranging from News Cat gifs to special interests, many media outlets have capitalized on Tumblr’s format. ProPublica runs Officials Say the Darndest Things which takes a closer look at the words of officials, politicians, CEOs and anyone else in the public sphere. This tumblr does a great job of highlighting both the sincere and the absurd. The Lively Morgue is a Tumblr from the New York Times, posting photos from NYT’s expansive–we’re talking 10 million frames here–photo library. For added awesomeness, they also post the back of the photo which contains notes about when and how the photo had been used. Newsweek has definitely found the sweet spot for engagement on Tumblr with posts, questions and commentary that has really engaged the community. Their Tumblr has a distinct voice laced with wit and a bit of dry humor. NPR Fresh Air also has a nice lively Tumblr that posts a variety of things about interviews and things they have found around Tumblr. At the top of the Tumblr Dashboard, you can select the type of post you want to make. The interface is straightforward. If you’re new to the platform you will have no difficulty in figuring out how to post. 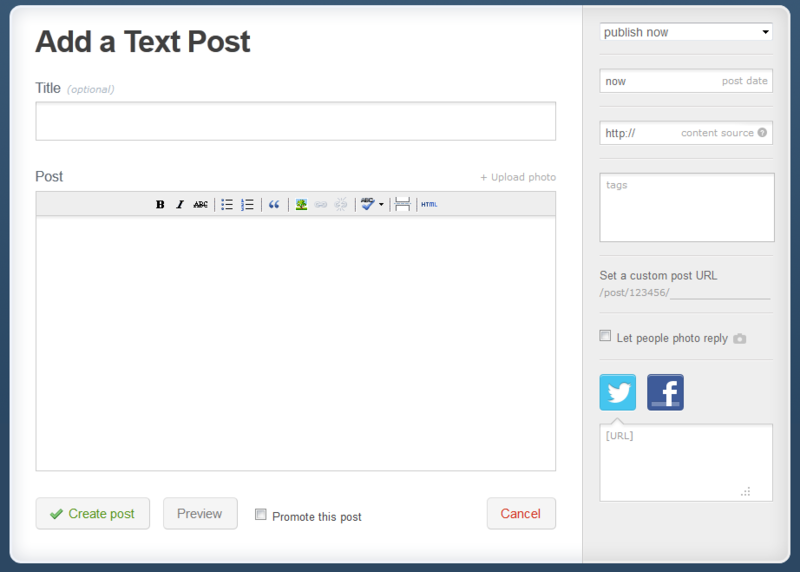 The interface for adding a post gives you options for tagging, scheduling and posting to social media. The categories of post type are pretty self explanatory. Text, Photo (both stills and animated gifs), quotes, links, chat, audio and video. Generally, Tumblr themes display each post type in a unique way. Aside from the posts, you can also add pages for an About page, contact etc. To add a page, click on the gear for settings, and under the heading Theme, select Customize. On the left hand side there will be a menu and from there you can select Add a Page. Another difference between Tumblr and the Facebook/Twitter setup is that Tumblr has a many more customization options. There are thousands of themes both free and paid to customize the appearance and function of your Tumblr. Finding other blogs to follow and reblog is the most important part of using Tumblr. It’s an essential part of using the platform. You can blogs that suit your interests or areas of expertise by searching tags and topics and following those blogs. You can also look at Tumblr’s featured blogs. 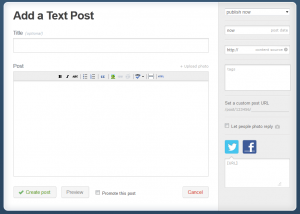 Tags are how you find tumblrs or posts for a specific topic. It’s also how people will find your posts so remember to tag your posts with relevant words or phrases. Whatever you decide to post, Tumblr is a great community and a place for good storytelling. Do you have a tumblr you’re proud of? Post a link in the comments so we can follow you.